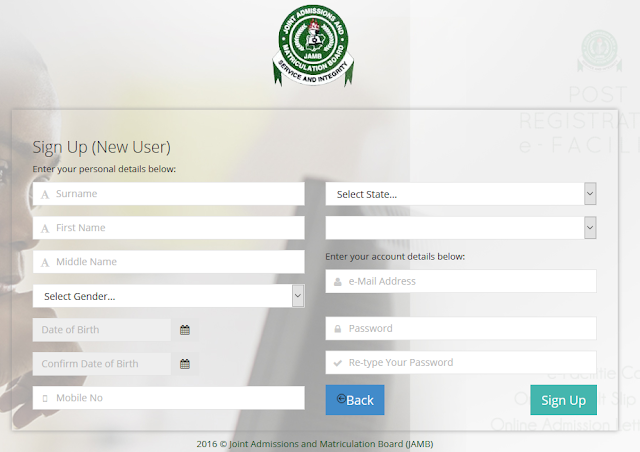 The Joint Admission Matriculation Board, JAMB Regularization is the process of ensuring that the Board validates candidates current admission details with the school that offered admission to such candidates in their database with the aim of either granting one gateway of securing admission via direct entry or proceed for service. →The purpose of regularization is to ensure that JAMB have your current admission detail that tally with admission/registration record in the school that offered you admission. 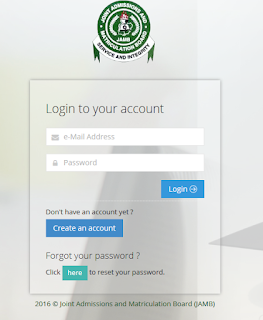 →This allows candidates with admission but with no prior record with JAMB ability to register on the platform. →This Process is either called JAMB Regularization Or Late Application Method!!! 1. Fresh Application – Those with JAMB Reg. Nos. 1. →Click Here To Create an account, Fill all the necessary information required [Be-careful do not make mistakes on your phone number and email address, after account creation click on signup. 5. →Review the details displayed on the Confirmation Page. Also, note the Transaction ID displayed in bold in red. The Transaction ID is useful for all future references concerning the Transaction. A copy of this transaction ID will be sent to your registered email address. 6. →Click on the Continue button if you wish to pay with your card immediately. If you wish to use other payment channels like ATM, Cash at the Bank and Quickteller, please note the transaction ID as it will be required. 7. On the Inter-switch Payment page, enter your card details and click on the Pay button. 8. →The status of your payment will be displayed on the “My Payment Section” An SMS and email containing your unique Transaction Identification and payment status will be sent to you after payment. Click on the Continue button. 10. →After entering the information correctly, the application form will be displayed. You are to fill the application form online. Please take note of mandatory fields. 12. →After submission, an Indemnity form will be displayed for printing. 13. →This is to be filled and taken to your institution for Approval. 14. →Your institution will be responsible for submission of the approved form to the JAMB state office. 15. →Once received, the Approved form will be uploaded into your profile. You will receive a notification when this is done. 16. →JAMB will now process your application. If Approved, your details will be changed as requested. NOTE1. No Indemnity form will be accepted unless the Head of Institution had previously given his/her signature personally to the JAMB Registrar. 2. If the candidate have not been offered admission yet, this form should be taken to the State JAMB office for the endorsement of the Zonal/Coordinator. 3. All Candidates with Regularization issues should confirm that their indemnity form is sent to the nearest JAMB office. 4. This Process cost the Sum of Ten  Thousand Naira Only. Q: Who Is To Regularize/Validate. 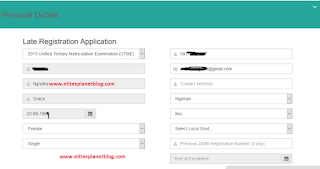 Q: Can I use my phone to do the jamb regularization online? Q: What is their mode of payment or how is the payment made? Q: Is thumb print needed during the jamb regularization exercise? Q: Can registration be done in the absence of someone/by proxy. Q: During the jamb regularization registration, I made a mistake can it be corrected? 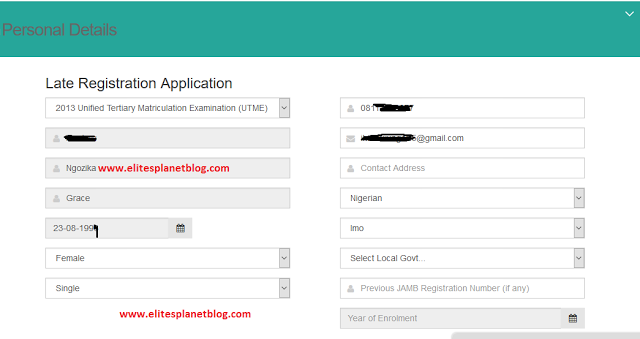 NOTE: The Official Price for the JAMB Regularization/Late Application is N10,000 Only. It has been observed that some students are still facing the problem of obtaining Jamb Admission letter. In order to find solution to this problem, JAMB has directed that all concerned students should visit any JAMB Accredited Centres for regularization of their admission. 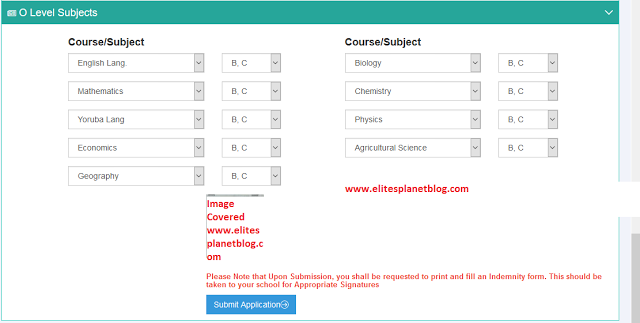 Student in this category should visit the JAMB Accredited Centre to fill the “Request for Admission Letter”. Student whose admission status is showing another institution should visit JAMB Accredited Centre to fill form for “Change of Admission Letter”. This category of students needs to fill form for Regularization of Admission. Those that did not have JAMB record are to print their Indemnity Form and submit to the Registrar’s Office for processing. Failure to comply with the above directive may affect such category of students from being mobilized for NYSC after graduation. This process doesn’t have a deadline or closing date, it is a continuous process and at such candidates or applicants can apply for this service anytime, any-day unless the board says otherwise. Have any questions? Feel free to drop them using the comment box below and an Admin will respond to you immediately.